If it’s your first time to visit Palawan, this hotel/tour/spa package may be just the right one for you. 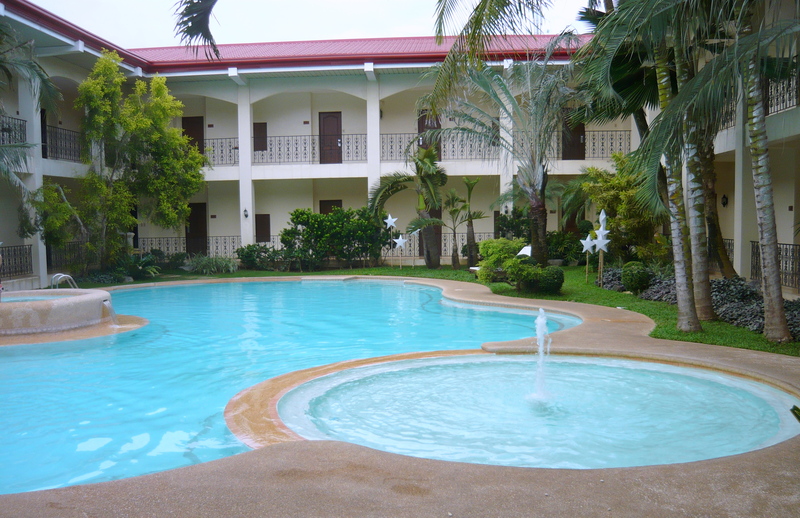 Visit http://www.microtel-palawan.com for more information. Room rate of about P2000 (about US$47) per person per night is a steal plus the food is great and while there’s no safe swim area near the beach (please see word of warning), they do have a swimming pool. Try to make early reservations for the tree house now! Visit http://www.dangkalanresort.com for more information. Just a word of warning: While both resorts, which are adjacent to each other, do have a beach front, there are no good/safe swim areas. There are plenty of tiny insects known locally as nik-nik (sand mites/flies/fleas). It is more advisable to swim during the Honda Bay island hopping tour (at Snake or Starfish Island) or Underground River tour. 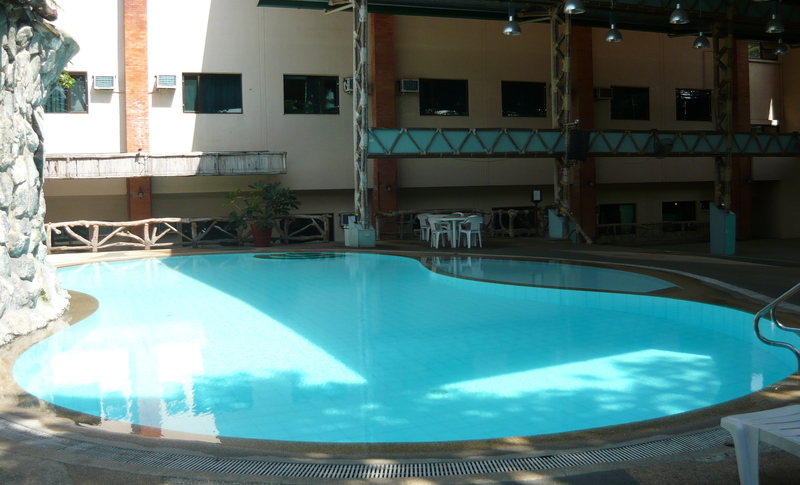 If you just want to take a dip in the pool, head out to the Legend Hotel and get a fab cardio workout for only PHP100. Add only PHP50 and you get spaghetti, hotdog and iced tea thrown in. Now how’s that for cheap? I’ve got to warn you though that the pool is not heated (can be really cold in December) and there are no lifeguards on duty, at least at the time I was there. Please visit http://www.legendpalawan.com.ph/ for more info about their current rates, and other services and promotions. Foodie on a tight budget? You can sample local Pinoy (Philippine) snacks like the halo-halo and maruya at this high end hotel. Best of all, it’s an all you can eat treat and their menu changes everyday. A definite must-try at only PHP88 per person. BUT… absolutely no sharing and no leftovers! 😛 They also have an outdoor swimming pool which you can access for a minimal fee. Visit http://www.asturiashotel.ph/ for their rates and other promotions. It is best to go to Palawan in March or April. Best places to visit in Palawan are El Nido, Coron (Busuanga) and Puerto Princesa. Go to the Department of Tourism website for more information about other heavenly Philippine destinations: http://www.tourism.gov.ph/. UPDATE: Oh goodie! Palawan is one of National Geographic’s top picks for 2011 http://travel.nationalgeographic.com/travel/best-trips-2011-photos/#/11-palawan-el-nido-surfers_30439_600x450.jpg. If you want to buy small souvenirs (pasalubong) like key chains to give away to family and friends, you can purchase them at Crocodile Farm (10 for PHP100). You can also buy cheap souvenir t-shirts and other pasalubong items at Tiangge Tiangge, near Chowking (walking distance from NCCC). For food pasalubong, you can’t go wrong with Baker’s Hill hopia at only PHP4.50 each. They also sell Palawan honey and other baked goodies. You can get fresh gindara, yellowfin tuna and pink salmon for only PHP100/kilo, PHP80/kilo and PHP180/kilo respectively in Palawan. If you want to bring fresh fish back to Manila, purchase them at least a day before your departure date and freeze them (so you don’t need to pack with ice). Put the frozen fish in a styro box and make sure you seal and label it properly. You can also go to the market very early in the day, make your purchase and have someone there pack your fresh fish/seafood for you for about PHP75. Unfortunately, roasted cashew nuts don’t come cheap at PHP300/kilo. The Cheaper Options blog is not connected with any of the hotels/resorts and establishments mentioned above. Please contact them for updated information.